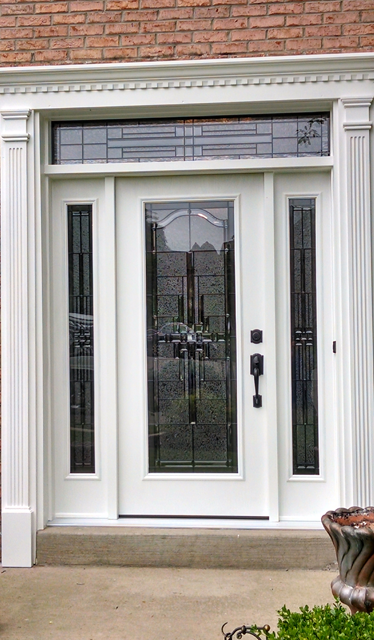 We at Gravatt Door & Custom Glass take pride in our high end custom entrance door units. We serve all of Pittsburgh and the surrounding areas. Custom decorative glass for building products is our specialty! You can pick from one of our decorative glass designs and modify with the caming and glass of our choice, or we'll build your design! 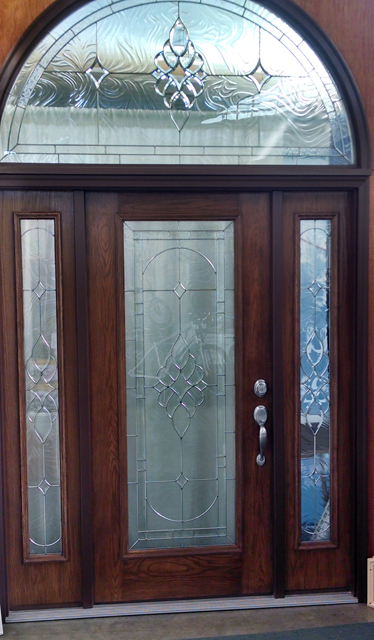 We can also create decorative glass from 1 to 25 square feet, and for either steel or fiberglass doors. Our insulated glass panels come with a 10 year warranty, are IGMA certified, and are in compliance with NFRC requirements. 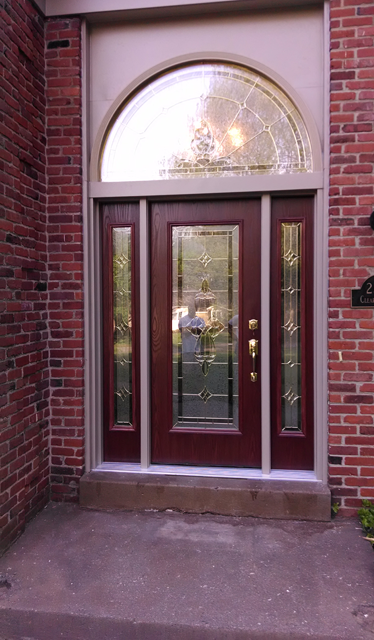 Here are a few pictures of doors we have done in the last year or so. Come visit our new showroom and shop! Quality by design since 1990! All these units are lifetime warranty fiberglass doors that stain to look just like a true oak door with out the maintenance of a real wood door. Most of these units are custom sized to fit in remodeled applications. Custom millwork,and special glass sizes, are sometimes needed this is what we specialize in. ©2017 Gravatt Door & Window | Design by Reeves Info Tech | Site Content Maintained by Gravatt Door & Window.